﻿These porcelain dolls have no clothes, all parts are excellent and are available for sale. 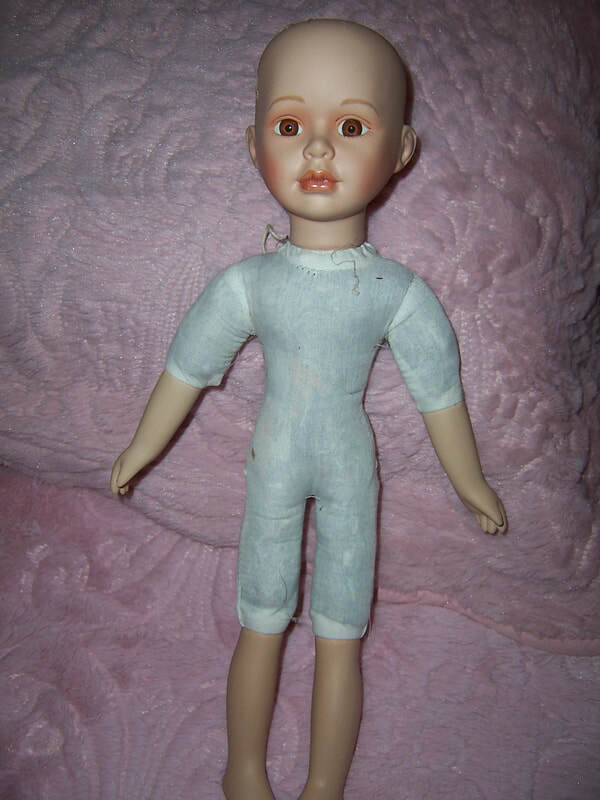 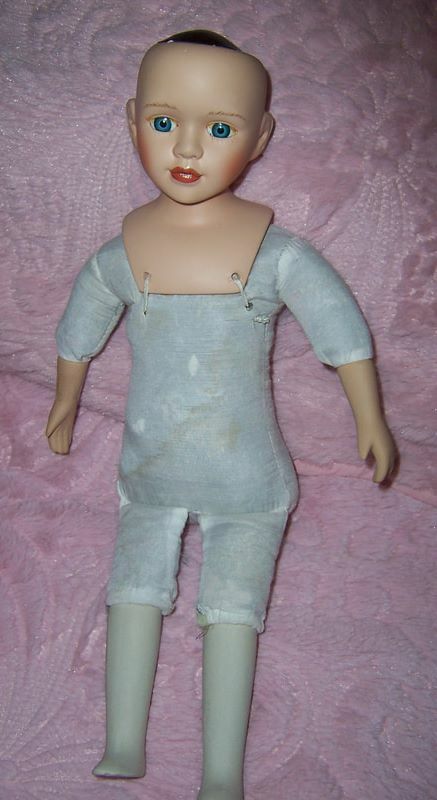 You may have a porcelain doll which has had an unfortunate accident and require a new arm or leg. 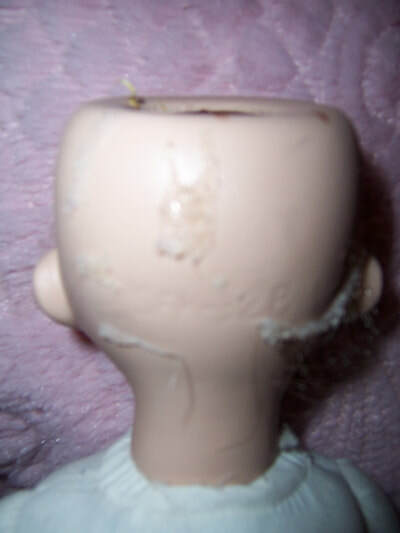 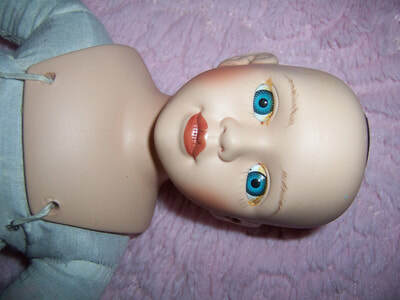 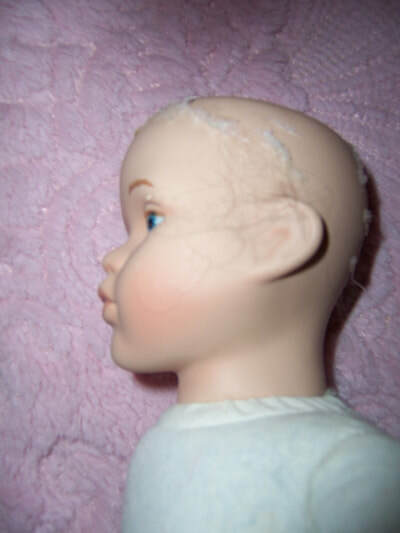 Here is your opportunity to buy the doll for parts and fix your precious doll. 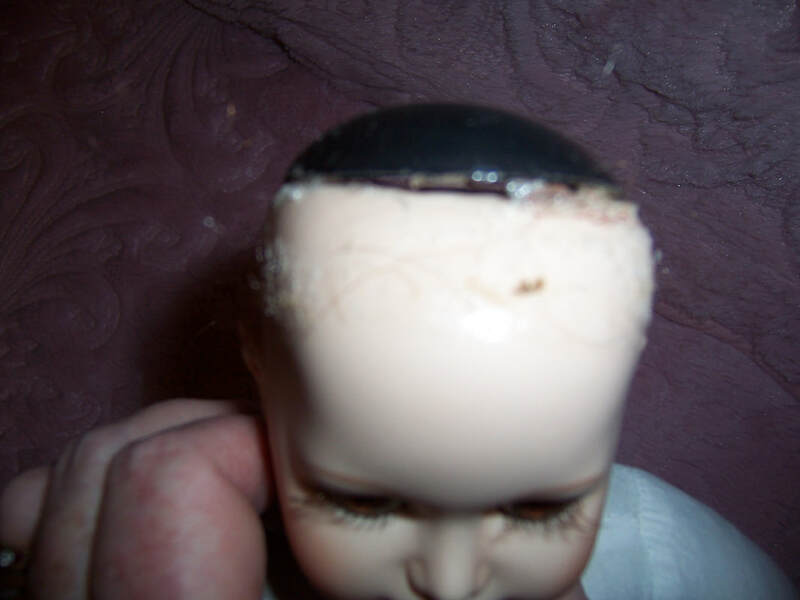 If you need further clarification about anything then please email. 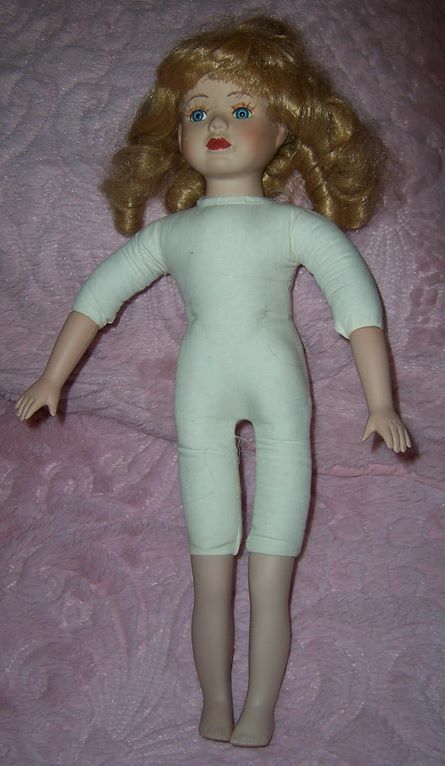 This doll has bent knees and a body for the sitting position. 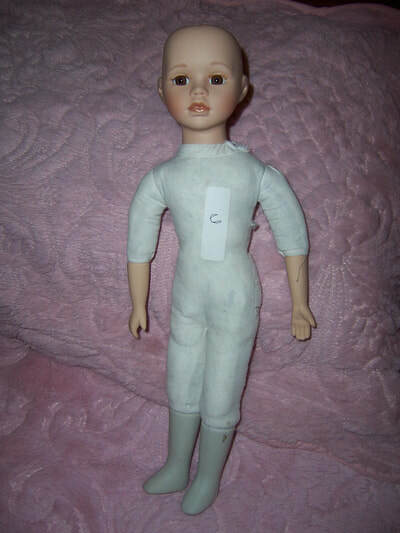 It has one cloth arm which just requires a bit of stitching to the cloth. no markings to the head. 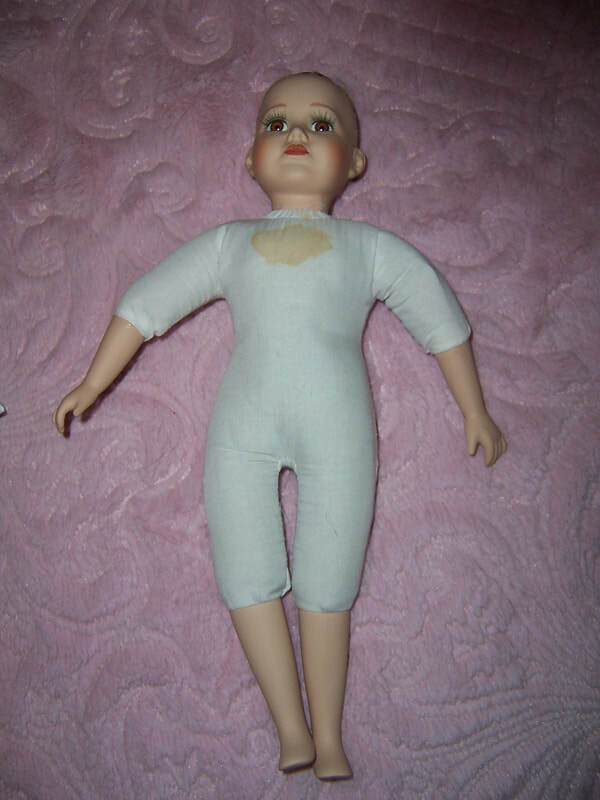 This doll has straight flesh coloured legs. 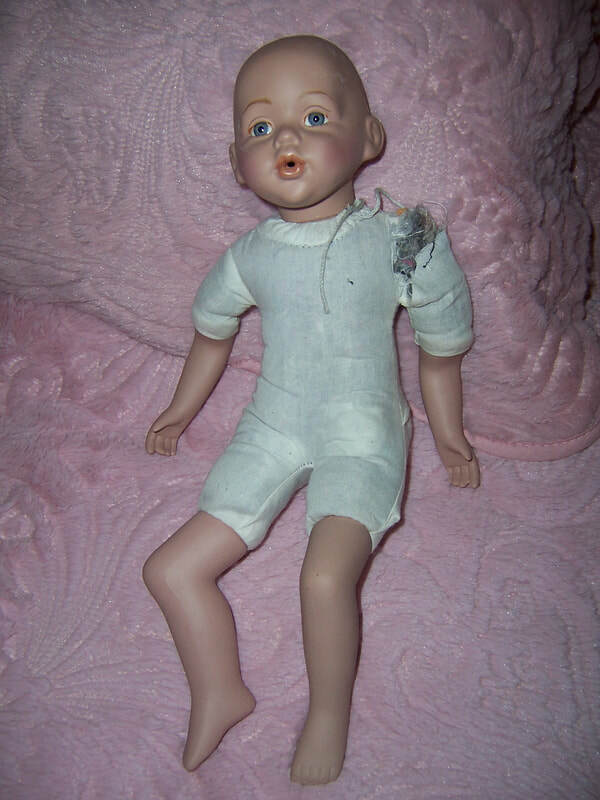 Porcelain leg - 9cm long. 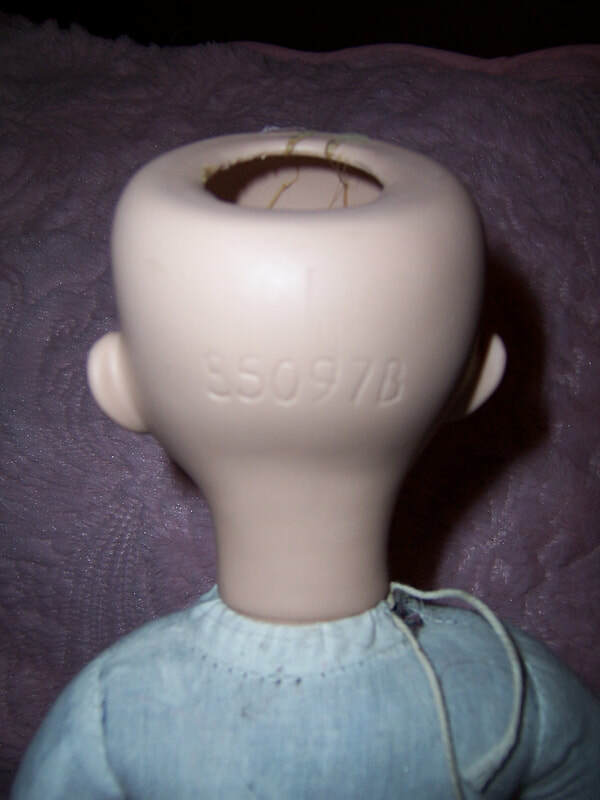 11B 85097B - markings to the head. 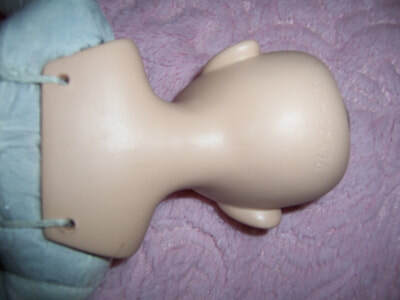 This doll has straight legs however the legs are in a grey colour. 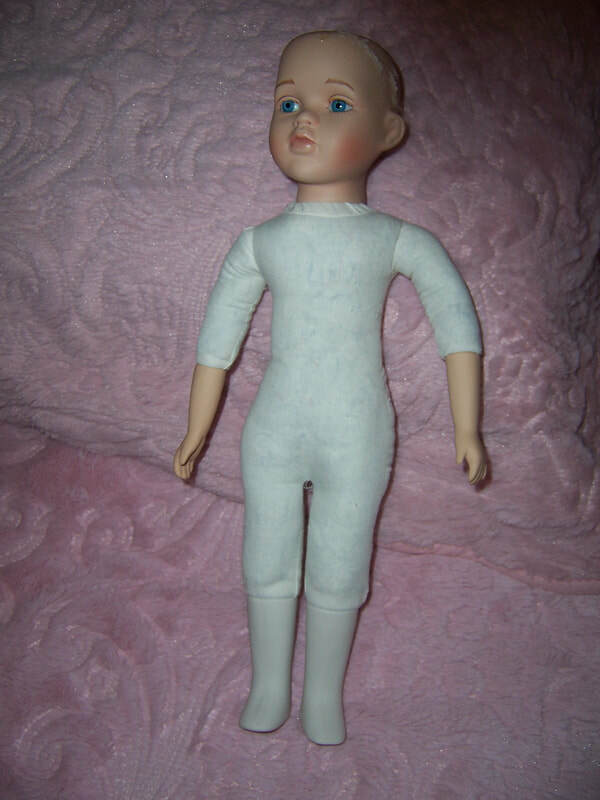 Porcelain leg - 7cm long. 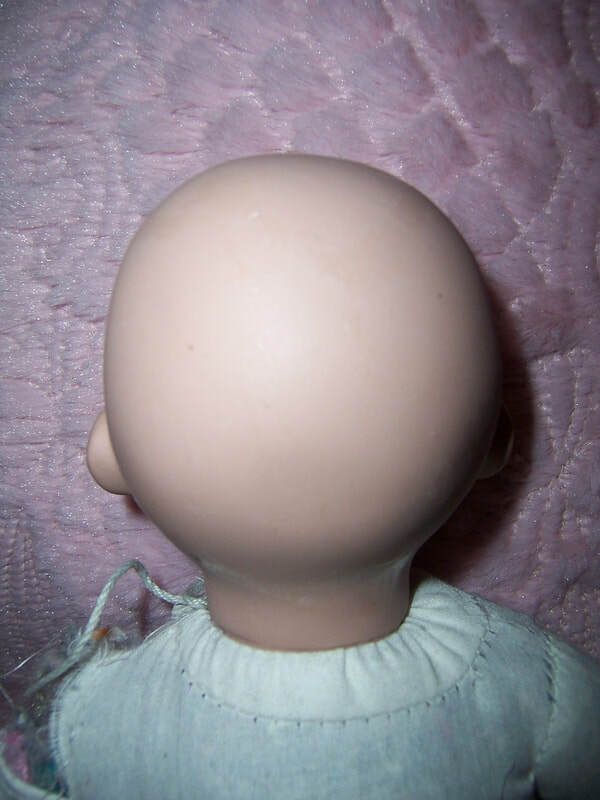 faint markings to back of head but unable to be read. 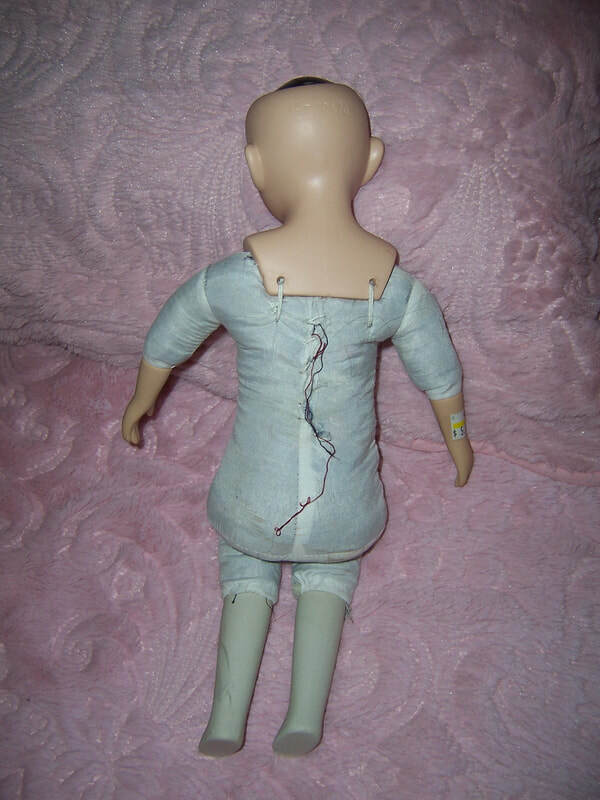 ﻿This doll has straight legs. Porcelain leg - 7.5cm long. 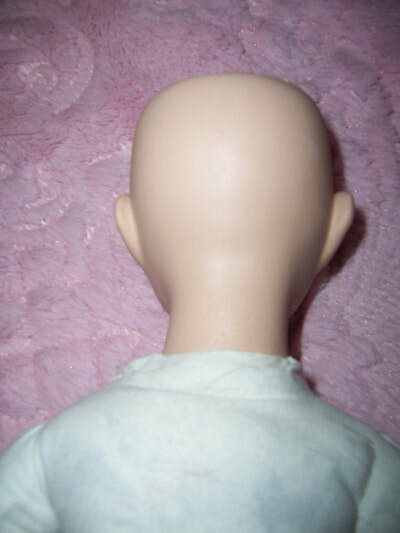 SFK 32B - markings to the head. 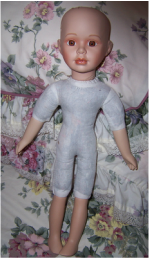 This doll has straight legs and are dark grey in colour. 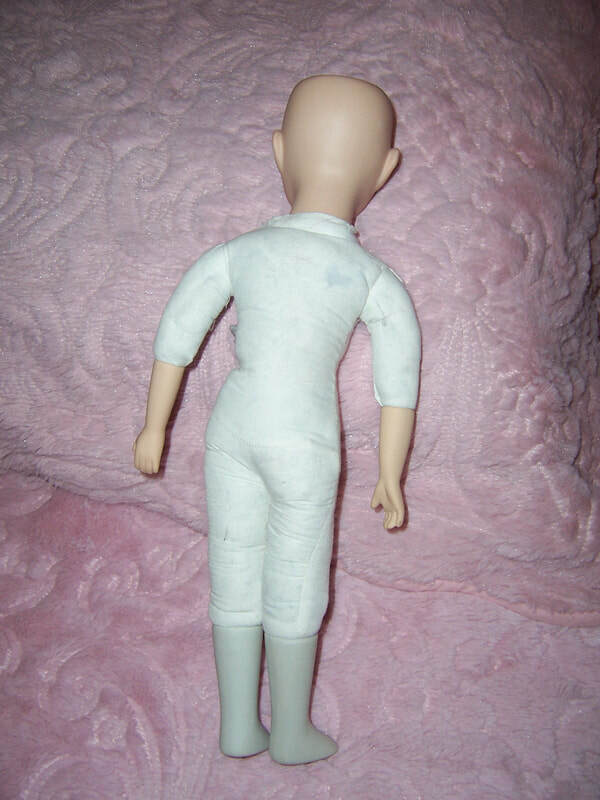 Porcelain leg - 10cm long. 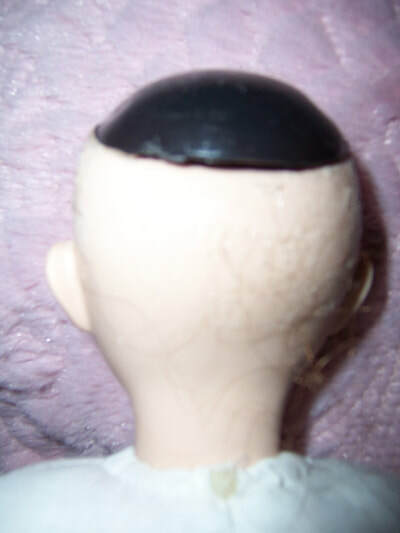 XT 9939 - markings to the head. 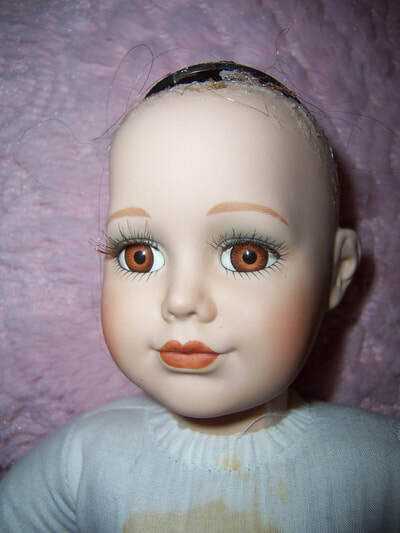 This doll has straight grey legs, black pate in her head, a breast plate. Her legs are able to be put in a sitting position by the way they have been sewn onto the body. 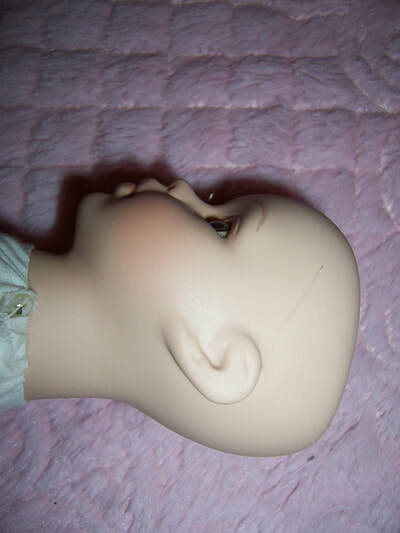 Head is attached to neck by way of breast plate - 12.50 cm long from top of head to bottom of breast plate. This doll has a blonde wig, straight legs for a standing position. 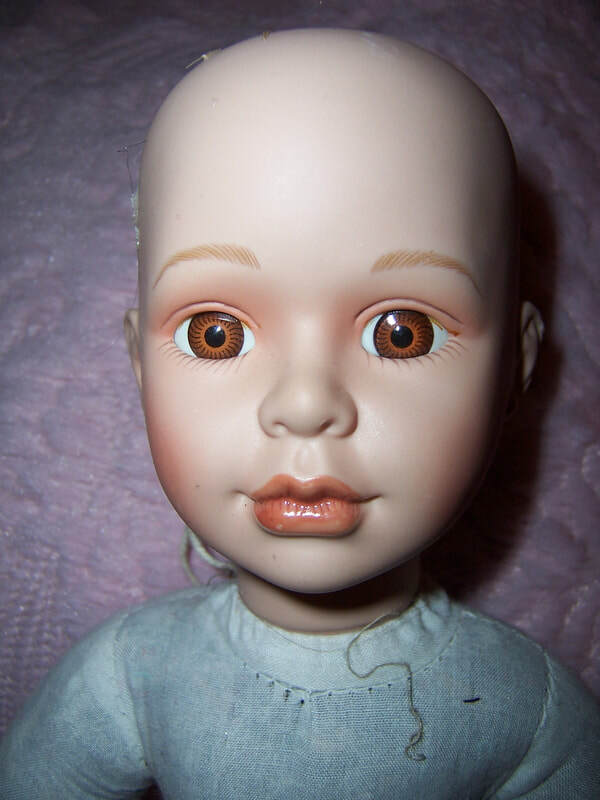 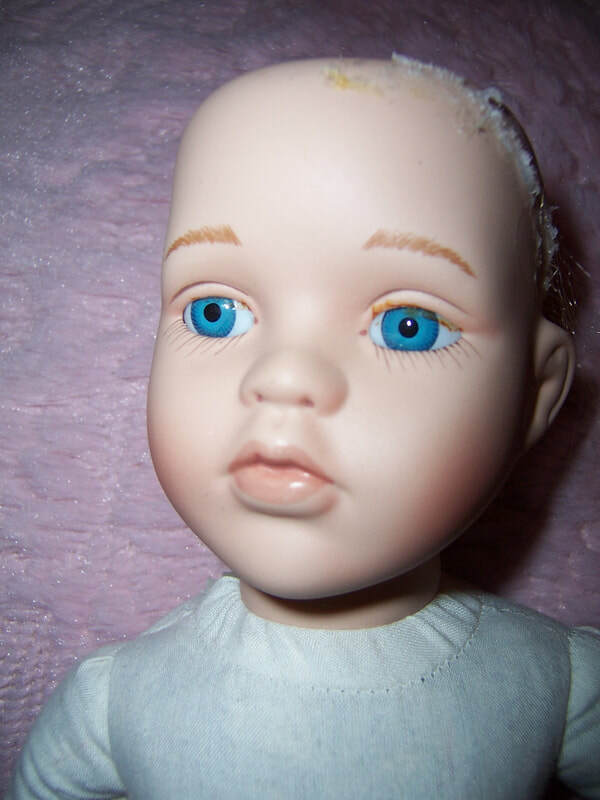 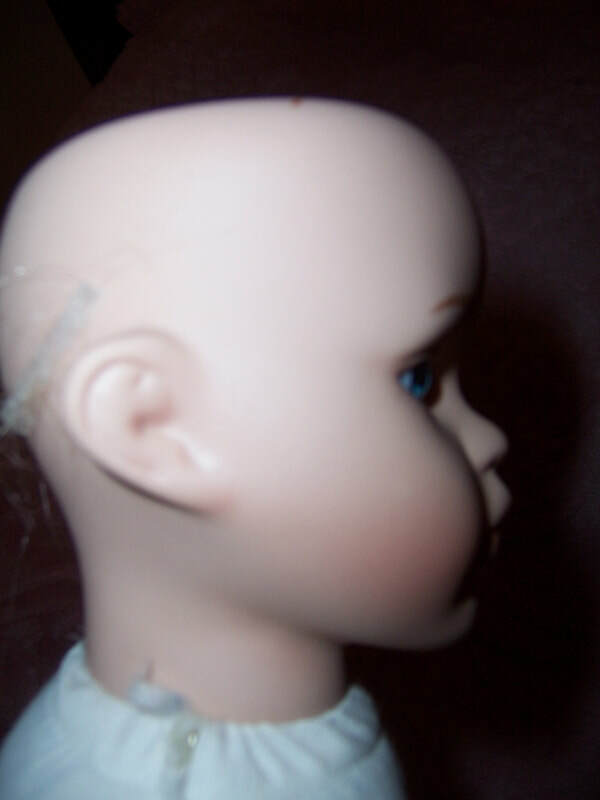 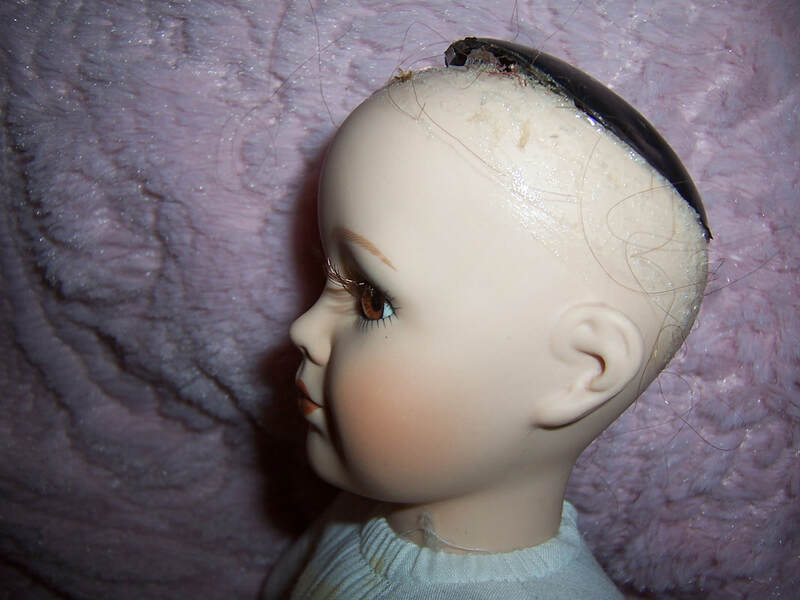 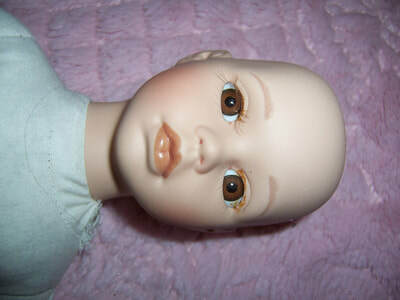 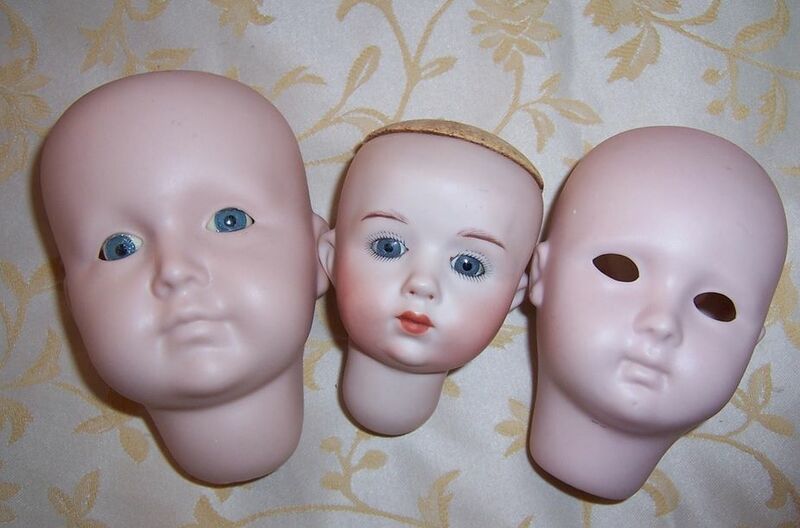 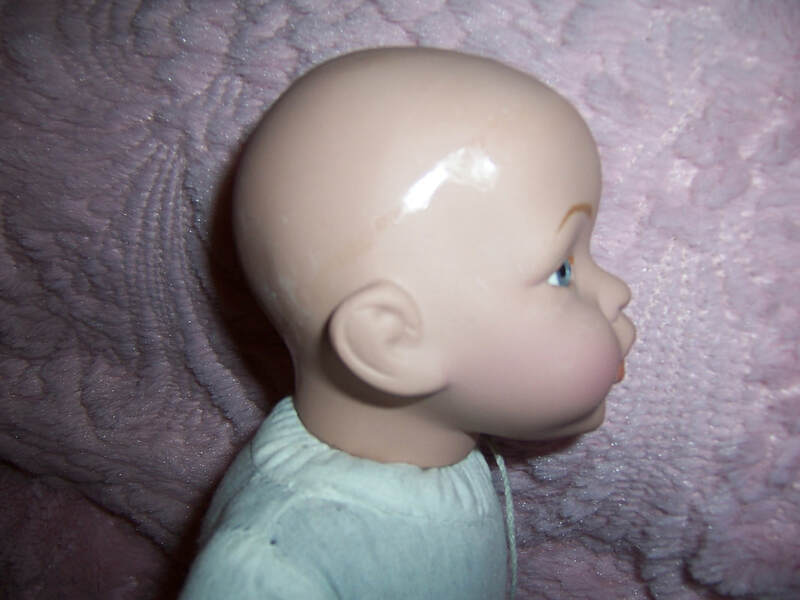 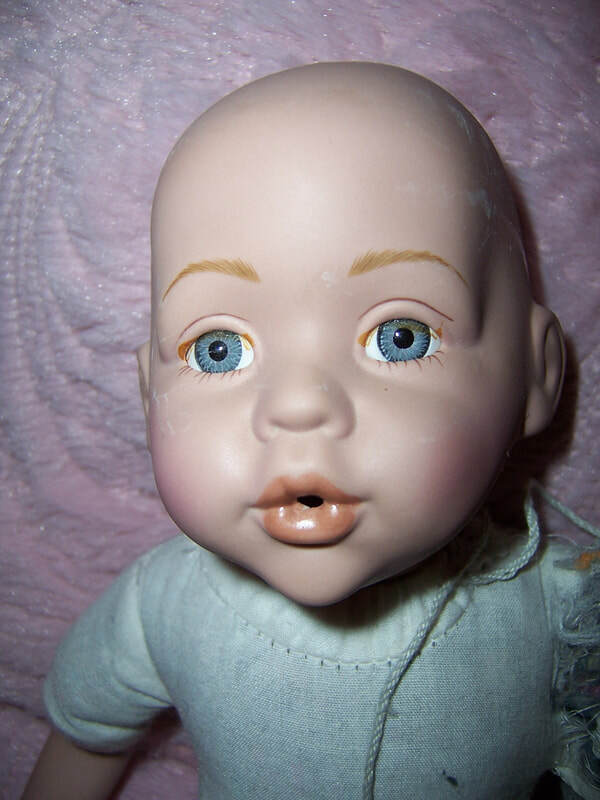 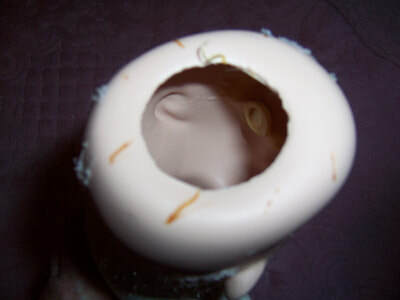 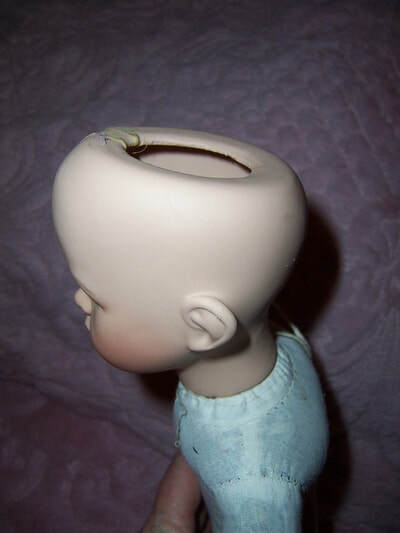 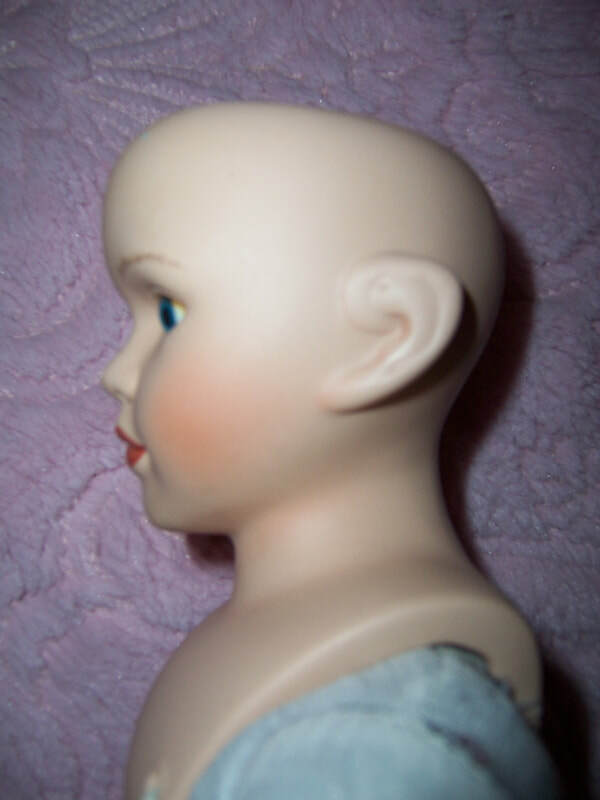 We have three greenware reproduction antique porcelain doll heads for sale. 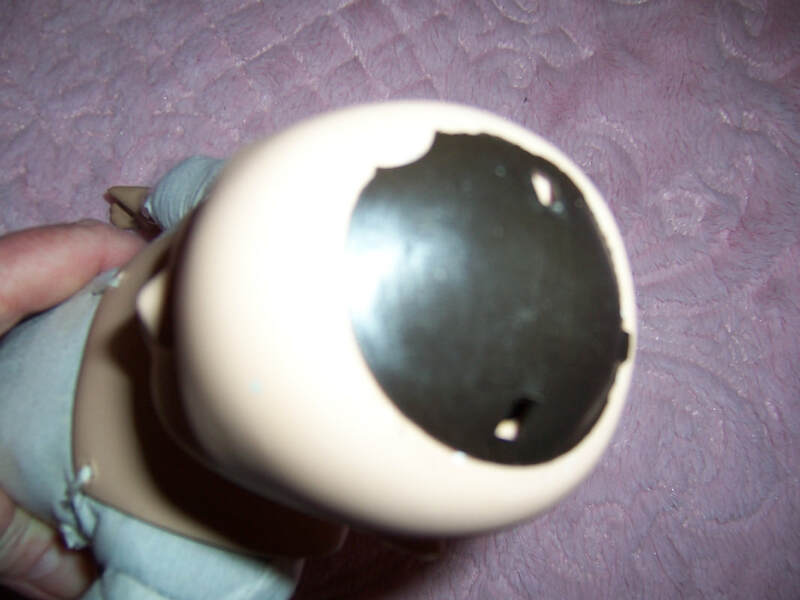 Two are marked and the other one is not.